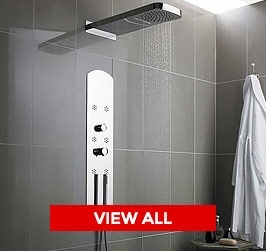 Bathrooms are often overlooked and deemed as not important as the other rooms in the house, but in fact nothing could be further from the truth. A good bathroom can really make a house whilst a bad one can ruin all the hard work you have already put in to creating your dream home. 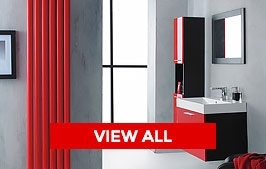 Bathrooms are also bulky to transport often including large items such as baths, as well as being at times very heavy and easily damaged, so let us do the hard work for you, our transportation network will deliver your ideal bathroom that you have chosen from the comfort of your own home right to your front door. 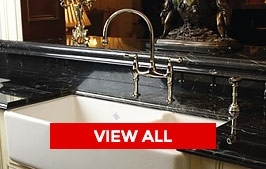 Our bathroom category has all the basic items that you need to create your perfect bathroom, from baths to basins we have it all here with hundreds of different styles and designs to choose from. 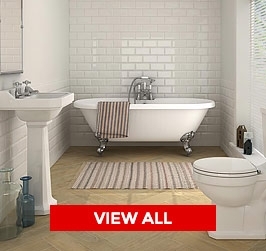 We have an extensive range of individual toilets and basins for you to browse or if your looking for the complete package why not choose from one of our bathroom packs, we have a large range of packs both with and without baths, you can simply select the pack that you like then choose the sizes of the basin and bath (if your looking at a bath pack) that best suits your room from the drop down menu provided, once you have made your selection simply click to purchase, then let us do the rest! 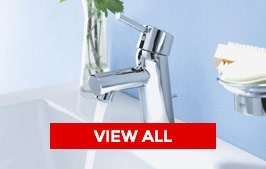 We understand that choosing your perfect bathroom can be daunting, people are often unsure if products will work together or match, well that is why we are here. Our team of trained staff are here to help and advise with any questions you have, from simple advice on matching products to in-depth technical questions and on the rare occasion that we don’t know the answer to your question, we will find out and come straight back to you.